If you want to pursue an undergraduate degree or you’re considering going to graduate school but want avoid taking out student loans, there are alternative ways to pay for higher education costs. Here are four smart ways to pay for college or grad school without student loans. For those who are working, begin by seeking out employer paid educational benefits. Obviously, these programs are geared toward those who earn a steady paycheck, but want to get a degree by attending school at night, on the weekend, or on a part-time or full-time basis. Under any of these scenarios, your firm can pay for some or all of your tuition upfront, or your employer may reimburse you for certain college-related expenses. Under federal tax law, in 2013 you can receive up $5,250 a year in tuition assistance from your employer. Best of all, you don’t have to report the money as income to the IRS. So what’s the catch? The “catch” is that the money has to be used for classes or education that would further your skills in your existing line of work. You can’t get favorable tax treatment if an employer pays for classes that would qualify you for a new, different career. You might also be wondering: Why would a company foot the bill for your education anyway? Many employers use education assistance programs as a recruitment tool or as a way to retain good workers. Besides, under Section 17 of the federal tax code, which was made permanent in the January 2013 tax legislation, employers are allowed to take tax deductions for providing educational benefits to employees. 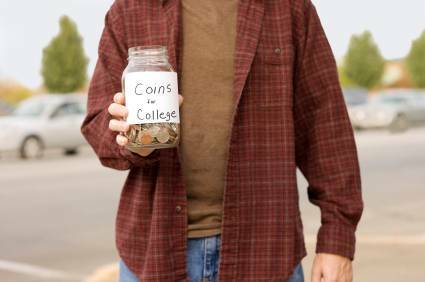 Separately, if your child is a stellar student – let’s say he or she is a National Merit Scholar – some companies will automatically pay for at least part of their tuition as a benefit to you, as an employee. Here is a list of the corporations, company foundations and businesses expected to sponsor a National Merit Scholarship Award in 2013. If employment-based aid for school isn’t an option or if it doesn’t cover all your costs, your next step should be to actively seek out scholarships for which you may qualify—based on everything from your gender and ethnic background to your chosen major and hobbies. A great resource: FastWeb.com, a search provider with a database of more than a million scholarships. Simply answer a questionnaire and the program will bring up a list of scholarships right for you. The school to which you are applying will also have its own unique scholarships. 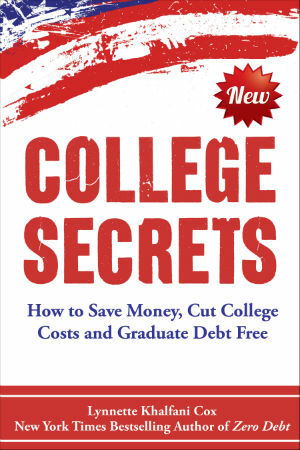 In fact, according to Kalman Chany, author of Paying for College Without Going Broke, you’re far more likely to get a scholarship directly from a college or university itself – as opposed to an outside agency or independent organization. Be sure to take advantage of college grants, too. Like scholarships, these don’t need to be repaid. For help finding them, contact the college department for which you plan to attend. For instance, if you’re earning a finance or accounting degree, check with the grants offered through business school. Likewise, if you’re pre-med, the medical school may have special grants for which you can apply. And advisor or counselor in the appropriate college department should be able to direct you to appropriate options. Often times, you will apply for these grants or scholarships at the same time you apply for admission to the school. Generally speaking, merit-based grants and need-based grants are the two primary categories of grants awarded to those seeking undergraduate or graduate degrees. Merit-based grants are typically highly competitive, and offered to students with special skills, outstanding academic performance or some other trait that makes the student highly marketable or desirable. Need-based grants are purely driven by economics. They are usually awarded to low-to-moderate income individuals. But never rule out applying for aid simply because you think you or your family might earn too much. “People are often amazed at how much money you have to make in order NOT to qualify for aid,” Chany writes in his book. Finally, the financial aid officer at any school you’re considering can tell you about Work Study opportunities. These programs provide part-time employment to students to help pay for tuition or other related expenses. Many students with Work Study as a part of their financial aid package will work about 10-15 hours or so per week. And most jobs are based right on campus, making it easier to earn cash and study toward getting the degree you want and need.